Fire Alarm testing Prices from £80! 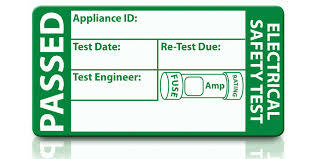 It is important to know that Fire alarm testing is mandatory, the fire alarm must be tested in accordance with BS5839. BS5839 are the regulations for fire detection and fire alarm systems; they cover design commissioning and maintenance for buildings. See Below for a overview to fire alarm inspections, Trade Facilities Services have broken them down to the types of systems. Manual Call Points, to sound the alarm. Central Control Panel for maintenance. A Grade fire alarm systems are usually found in commercial settings, but are also seen in homes. Mainly HMO’s or house of multiple occupancy. D grade fire alarms are more common in domestic type properties, they are always installed in new builds as it is now regulation to have this done. They are installed by interlinking each smoke and heat alarm together via the mains. This is then backed up with battery power to ensure constant supply. Fire Alarm panel is in normal operation. Any fault warnings to be rectified. Anyone can carry out the checks, if there is a major problem the appropriate people must be contacted. Same check as the daily check list. A different alarm to be checked every week. Any defects are to be recorded and the correct people to be contacted. A full test of the fire alarm system should be carried out every 6 months. The test should be carried out by a competent person. 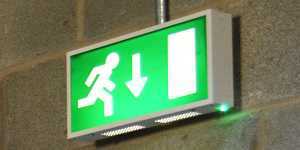 The fire alarm test should be carried out in accordance with BS5839 part 1 section 6. Once the test is completed it should be put in the log book. On completion of your fire alarm testing you should receive a fire alarm certificate. Fire system testing for a grade D system is slightly easier, although it should be done every month. The way to test these smoke alarms is by pressing the button. It is recommended the smoke / Heat alarms are cleaned every year. It is recommended that all detectors should be tested at least once a year to ensure that they respond to smoke, the tests carried out must be done so with equipment that will not contaminate the smoke detector. It is recommended that the test is carried out by a specialist fire alarm engineer and the fire alarm test should be recorded in the log book and a test certificate supplied. 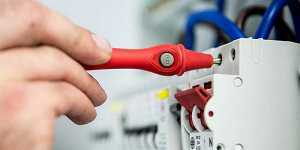 The wiring of your fire alarm system should also be tested. This can be done every 5 years periodic electrical testing. 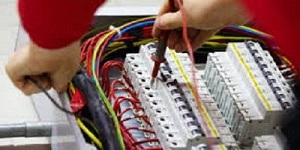 The electrical installation condition report must be done in line with BS7671. 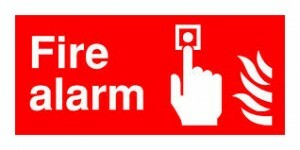 A Fire Alarm certificate should be supplied on completion of your fire alarm testing. It should be provided by the electrician; they are similar to the periodic inspection report. Fire alarm certificates should be kept in a safe place. This is for proof of compliance; should it be needed. Fire alarm testing is a legal requirement and should comply with BS5839. Fire alarm systems should be tested by a competent person. This can be done Weekly; 6 Monthly; and Yearly. The main requirement to stick to is the annual fire alarm test. The Government’s Health & Safety Executive website; offers a range of accessible information on the topic. It has a section dedicated to workplace fire safety. For Commercial Property; the Responsible Person for the premises; is to ensure that a Weekly Test of the building’s Fire Alarm (FA) System is carried out. This is under The Regulatory Reform (Fire Safety) Order 2005 (Article 17). Fire Alarm Certificate Check List. Below is a list of thing required for your Fire Alarm inspection. We request you follow this before an electrician arrives. This ensures you are ready for your Fire Alarm Certificate. Ensure your electrician has access to the control panel. Any items blocking this will prevent the fire alarm inspection. Make sure your electrician can access the consumer unit. Any items blocking the consumer unit could prevent the emergency light inspection. Provide us a estimate of height for the control panel and consumer unit. This way we can bring appropriate ladders. This is to ensure access is adequate. Ensure the Fire alarms are live upon arrival. If there is no electricity we cant carry out the test. Report to us any known faults of the fire alarm panel. Also provide the make and model. Count the amount of fire alarm detectors; call points; Sounders and Panels we are testing; let us know the amount of items and locations. This is to ensure we do not miss any. Full tests may not be carried out in these circumstances; Early signs of dangers/recommendations present; Locations not available. If this happens you will still be charged. Provide any previous reports or drawing you have on the Fire Alarm Installation. If you require any further information, or would like to book your Fire Alarm inspection with Trade Facilities Services Please call 02036371446. If you do not have time to call; fill in our Contact us form for your Fire alarm testing. We will call you back; at a convenient time for you. Sales Line: 020 3637 1446.